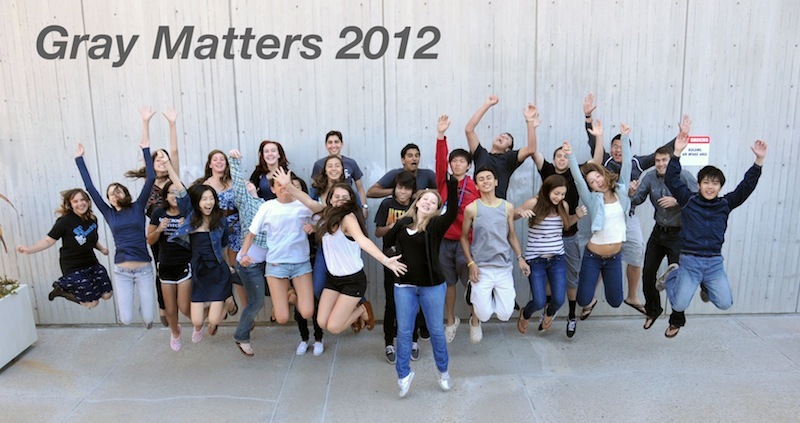 You are probably reading this because you are thinking about or already registered for Gray Matters this coming summer 2013. This page is here to give you idea of what this course will be like and for us to introduce ourselves. The best thing about this class is the students and what they are able to accomplish in this unique classroom experience. By meeting for several hours a day and focusing on one topic, there is a lot of energy, bonding, and progress. And plenty of breaks, too. Our time is spent alternating between classroom instruction and interactive activities. The instruction will be similar to an honors level biology or AP class, though you'll find I'm interested in hearing your questions and discussions. There's note taking and tests, but that's only half of the class. So that happens during the activities? In past years, we've visited UCSD's Brain Observatory to examine real human brains and visited an fMRI center to watch a live brain scan. We had a visit from UCSD neuroscience students who brought a bucket of sheep brains to hold and examine. We've played "Who Wants To Be A Millionaire" and pitted the class against each other in Jeopardy. Students have made incredible drawings, animations, Prezis and exhibits. If you are interested in the kind of topics we'll be covering, have a look at this class, which was a college course that was mostly freshman. You can also take a look at last summer's Gray Matters class, though the organization will be different this coming summer. I'm currently a graduate student working on getting my PhD in Psychology. I work with mice and study how they form memories. While graduate school is about doing scientific research, I especially enjoy teaching. I taught Gray Matters last summer and was a teaching assistant the summer before that. I grew up in New York state and went to Northwestern University. I like sleeping in when I have the chance. Ieva is going to write her own introduction, but I will fill one in for her in the meantime. Ieva is an undergraduate student at UCSD and was the teaching assistant for this course last summer, so she knows what's up. 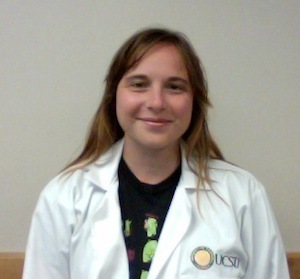 She works in two labs on campus: one lab studies language in little kids and the other lab studies how adults control their impulses. Ieva was a former Canadian pop star and can hold her breathe for eight minutes. Here's a sample calendar to give you an idea of what we'll be doing, but the dates of the actual activites will change. Resting potentials & action potentials. 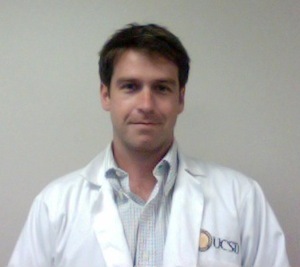 Techniques and experiments on neurons. Organization of the nervous system. Cortex and lobes. Sub cortical structures. Motor system. Who will your fellow students be? The crowd at Academic Connections is diverse. There are all ages - many are going to be juniors or seniors but there are also freshman-to-be. Most are from California but there are others from around the U.S. and some from abroad. Some know they want to focus on science, others have been gifted artists, writers and there's always a comedian or two. Students' backgrounds in this topic are also varied. Some have already taken AP Psychology or have covered the nervous system in a biology course, but enjoy the material and want more of it. Others are seeing the material for the first time, which is more of what we expect. If you enjoy learning and are engaged, I'm confident you'll do well.